So........ That being said......... How's your entry looking????? With this thought in mind I decided to put together a sampling of some of my favorite "Entry's". They are varied and include contemporary, traditional & transitional. Each of these spaces is perfect for the homeowners who chose the fixture and design. Absolutely LOVE this entry!! The color palette is fresh, crisp and extremely inviting. Allowing the Alabaster Pendant by George Kovacs to add a touch of warmth to the space. It's contemporary design is warm and welcoming to everyone who enters. This two story open entry is absolutely stunning! 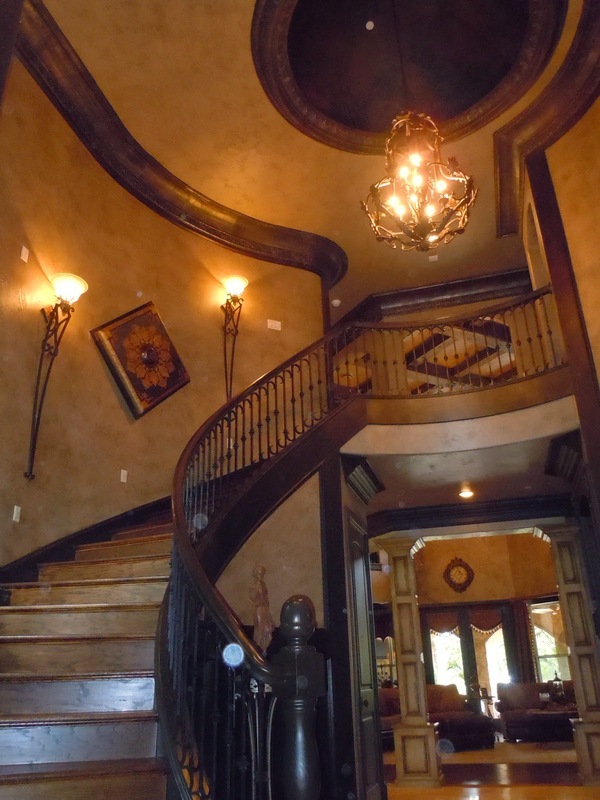 The Metropolitan Sconces on the stair wall were actually added a few years after the house was built and they bring so much drama to the design!! Double entry fixtures have become one of my favorite trends!! So many of the homes being built have long entry's that are open to the dining and lead to the family room - by hanging two fixtures you brighten and showoff that length - actually leading your guests into your home. This entry has a 12 foot domed ceiling with wonderful detailing - and the Revolution Alder Cage allows that light to transition up to the dome. Another example of a double entry is done on a 10 foot ceiling - these Mercury Glass Pendants by Quorum International create a wonderful interest on the ceiling and beg your eye to look up and see their beauty. 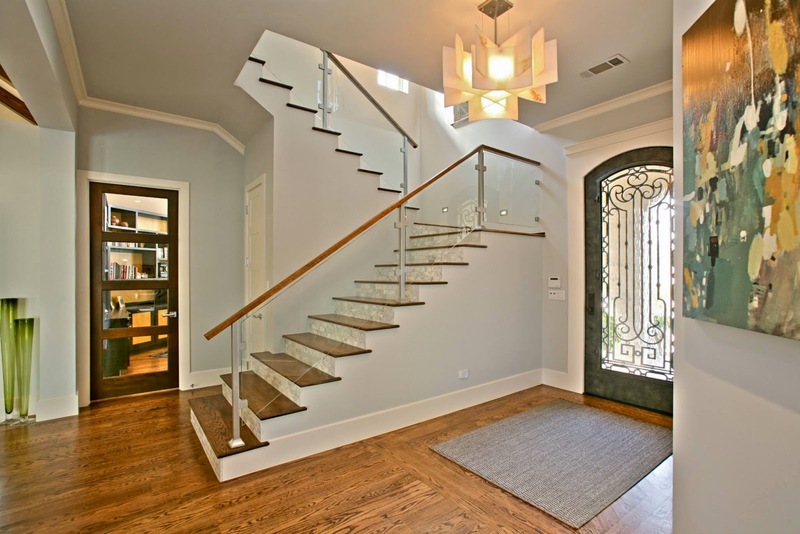 This beautiful entry is made even prettier with the addition of crown molding and the smallest Revolution Alder Cage. The detail provided compliments the window above the front door allowing the eye to continuously have elements of design to absorb. 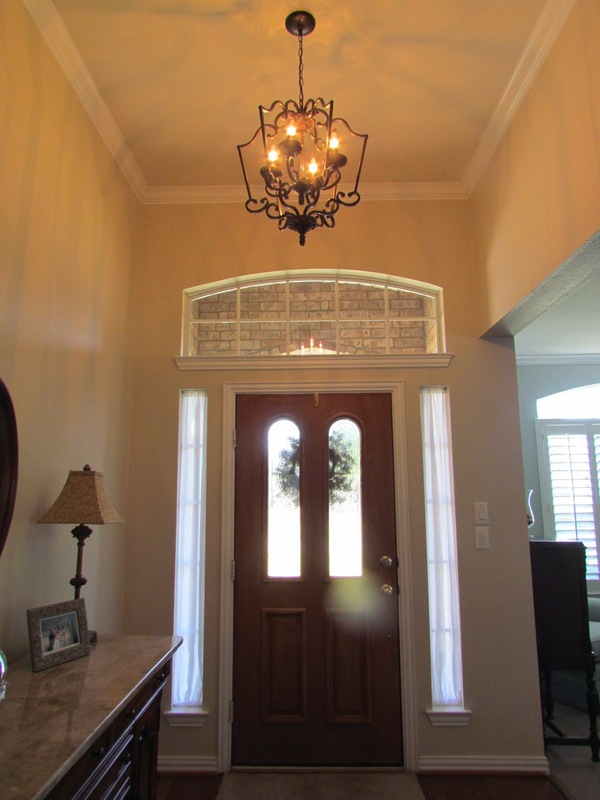 Even a shorter ceiling can be shown off with the addition of crown molding, paint and a decorative lighting fixture!! This entry is a great example of a 9 foot ceiling being "elevated" to new design levels!! 2. If choosing a chandelier or pendant with glass - try to select something other than "clear" glass. The fixtures featuring glass that we have shown have either Alabaster, Mercury or Scavo glass which won't show dirt and make maintenance a breeze.